It’s amazing how easily you can forget to take your medicine. Whether you are just starting a new medication or are simply having trouble remembering, having a handy app that reminds you can be a huge help. 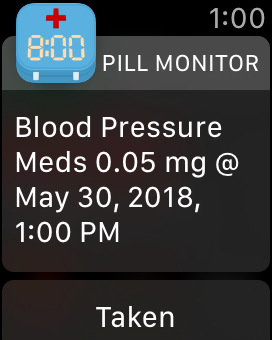 With the gentle taps the Apple Watch provides along with your iPhone notifications, anyone who uses these devices daily can really benefit from medicine reminder apps. For pills and medications you take regularly like heart medicine, birth control pills, blood pressure medication, or even vitamins, there is an app here for you. Mango Health is a great reminder app that rewards you for taking your medications. Adding medicines and supplements is simple. Pop in your quantity, frequency, and reminder time, and you’re all set. 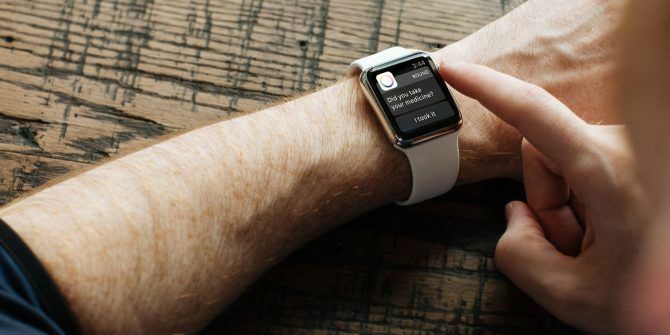 The app sends reminders to your wrist and even lets you know when it’s time for a refill. You can add healthy habits to Mango Health and earn rewards for those too. Get help with eating better, watching your weight, drinking water, and tracking your blood pressure. 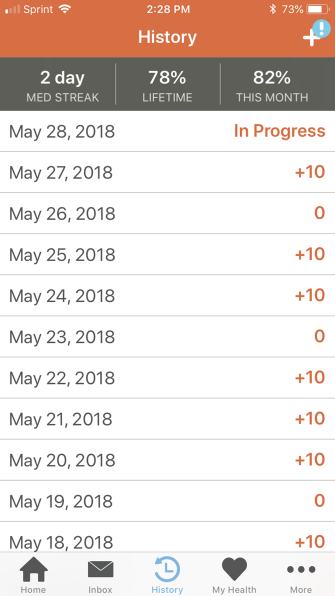 Earn points for sticking with your schedule. From taking medicines to healthy habits, you can earn points and redeem them for gift cards or donations to charities. Receive interaction information. 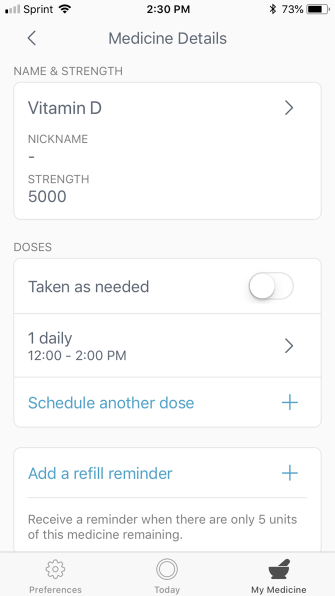 When you add a new medication, the app will let you know if there are interaction concerns to check out. Track your history. You can look back on how many days in a row you took your medicine and the percentages of success per month and overall. Customize your reminders. 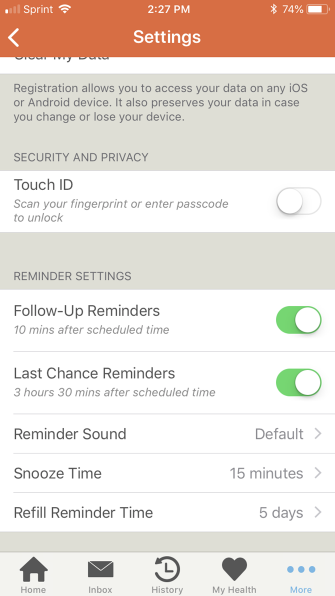 Set follow-up reminders, last chance reminders, a snooze time, reminder time, and sound. 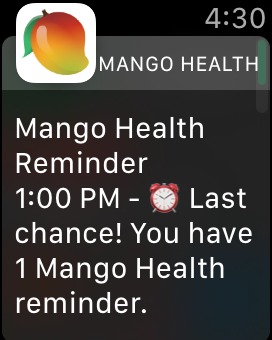 If you’re looking for a medicine reminder that also helps with your healthy habits, Mango Health is an awesome choice for your iPhone and Apple Watch. And there are more sites and apps that reward you for being healthy if you like the reward idea. 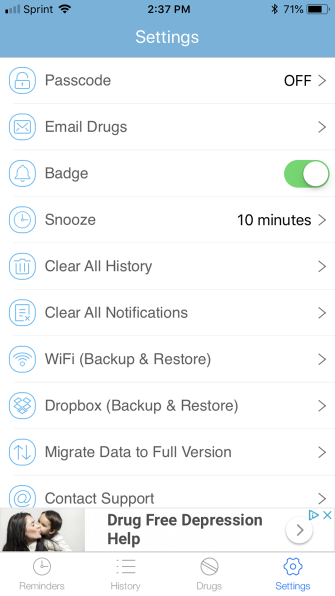 CareZone is similar to Mango Health in that it gives you some awesome extras with its reminders. To add a medication or supplement, the app uses your camera to snap shots of the label. But if you prefer, you can enter the details manually. Along with the name, dosage, and schedule, you can include details like prescription number and fill date, pharmacy name and phone number, who prescribed it, dates for last ordered and filled, and much more. Easily track additional items. Track your blood glucose, blood pressure, pain, headache, mood, temperature, weight, and other health elements all in one spot. Get assistance with insurance. You can request help obtaining vision, dental, and life insurance along with pharmacy savings from within the app. Add journal entries that can include photos. 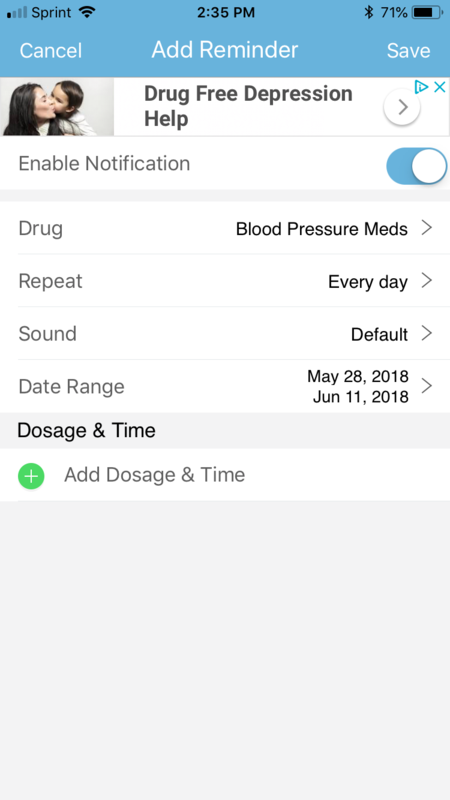 Record your environment, health effects, comments about your medications, and other important information with the in-app journal. Use the handy notes and to-dos. The app provides Notes and To-dos sections for easily adding details or tasks you need to complete. 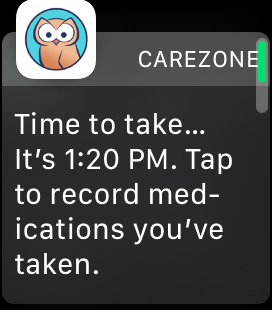 CareZone is more than a simple medication reminder for Apple Watch and iPhone. With its host of extra features, you can track different aspects of your health and life. This makes it an ideal, all-inclusive tool. Another terrific app for remembering to take your medicine and supplements is Round Health. To start, just enter the name of your medicine, the strength, and the dose. You can also choose from As Needed or Scheduled doses. 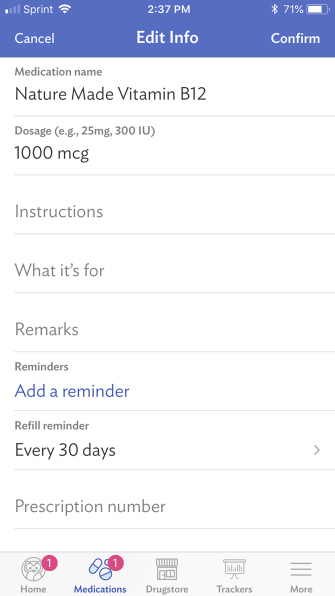 Next, set your reminder window so that you take your medicine within a time range. Then, select the frequency and number of doses. Use the flexible reminder window. 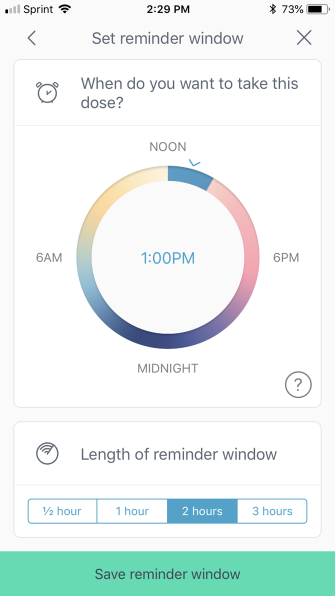 This feature means you can take your medication any time within the window you set. You’ll receive a reminder at the beginning and another at the end if you haven’t taken it yet. Set up a refill reminder. You can enter the quantity remaining and the app will remind you to refill it. Just remember, if you take more or less of your medication and don’t record it, the refill quantity may be incorrect. Export the app data. 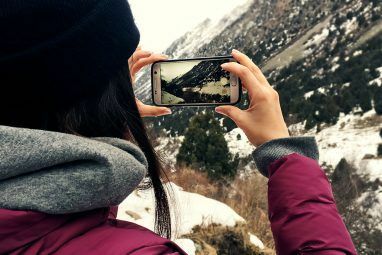 This handy feature lets you send the data to your phone’s Files, Dropbox, Evernote, or other app you have set up for sharing. This is a convenient way to show your physician the records if needed. 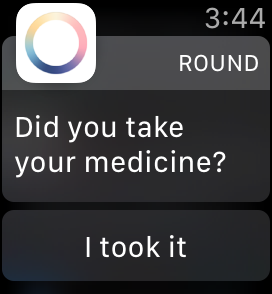 If you want an easy-to-use reminder app for medicine and supplements, on both your phone and your wrist, Round Health is awesome. And remember, along with medicine reminders, your Apple Watch can perform many other tasks you might not even think about. 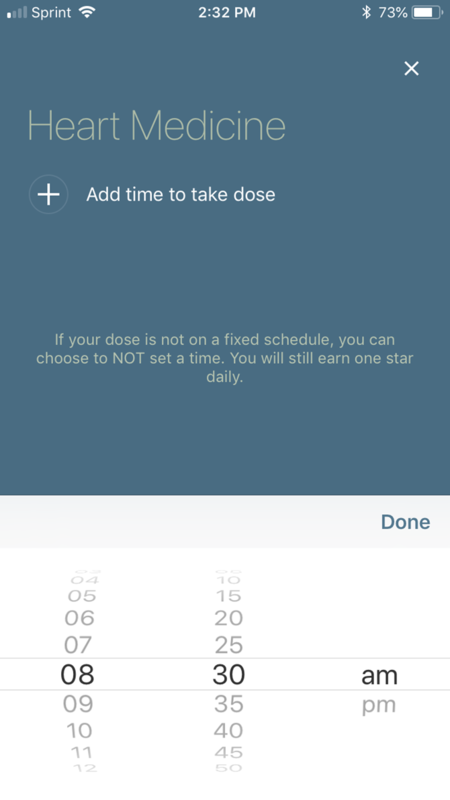 DrugStars is an intuitive medicine reminder app that’s super easy to use. Add your medication name, time to take the dose, and that’s it. Prepare to get reminders! 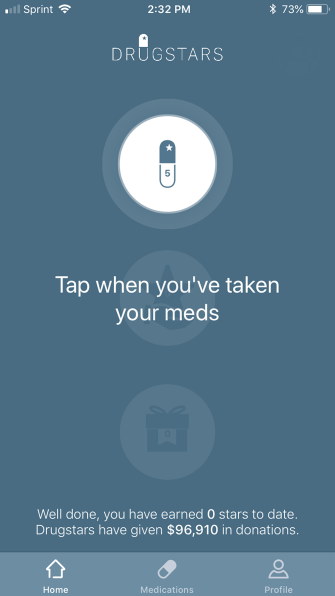 You can view a list of your medications with a tap and edit them as needed. 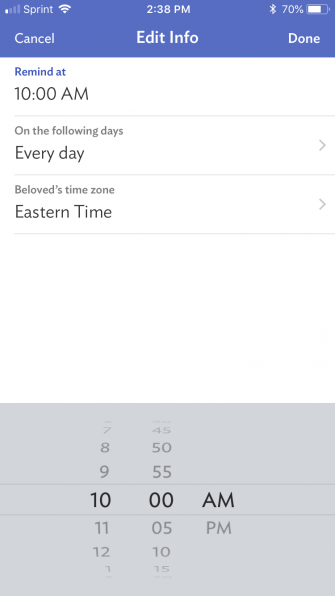 Plus, you can remove the times to take them if you switch away from a fixed schedule. For instance, you may suffer from allergies but only take medication regularly during certain times of the year. Receive stars for taking your medications. Those stars you get convert into donations from DrugStars and you can choose the charity. Get entered in a monthly raffle. For stars that you donate, you receive tickets for the monthly raffle, which is a nice bonus. For a basic, simple way to remember to take your medicine or vitamins, check out DrugStars. One more helpful and easy app for your medications is Pill Monitor. Add the name of the medicine or supplement along with the dosage, form, route, and unit. You can include side effects, a quantity, prescription number, pharmacy, physician, and note for a detailed record. 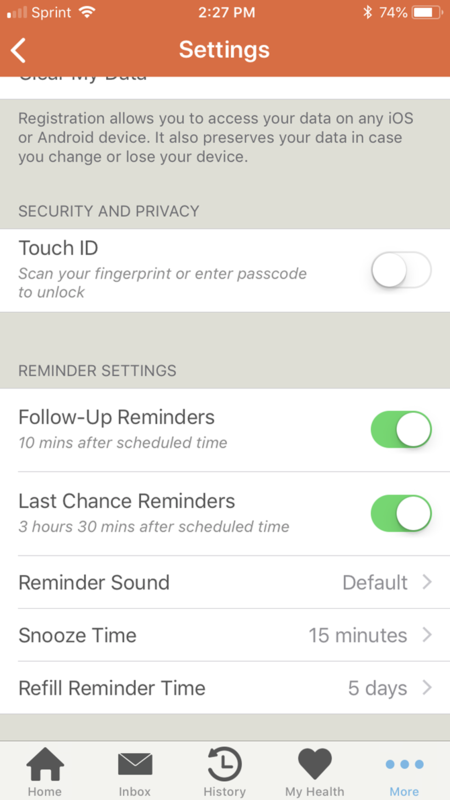 Set up reminders separately from the medications. 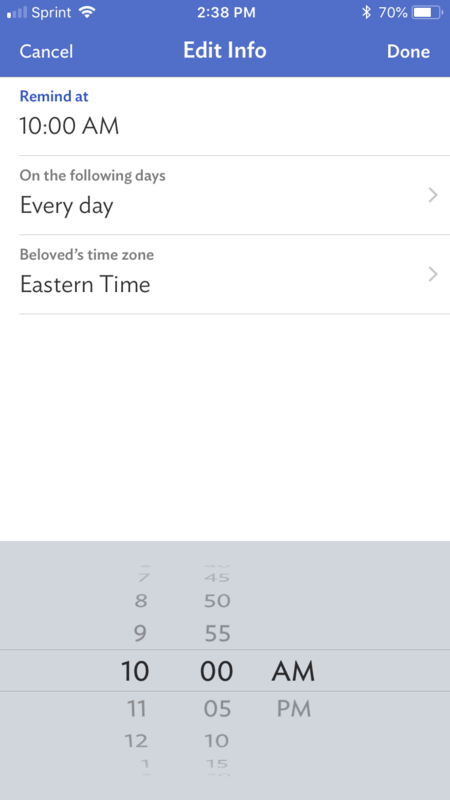 The app has a specific Reminders section to set up the date, time, and frequency per item. This is helpful for seeing your reminders and medications distinctly yet at a glance. View your complete history with filters. You can review the medications and supplements you take by date or item, and by taken or skipped. Email your medications. With a tap, you can create an email that contains the medication details you entered at the beginning. This is convenient if you are heading to a new physician’s office and need that list. If you want an easy reminder app for taking your medications or supplements, Pill Monitor is a solid option. 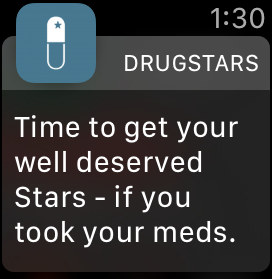 Each of these medicine reminder apps for Apple Watch and iPhone offers something a little different. 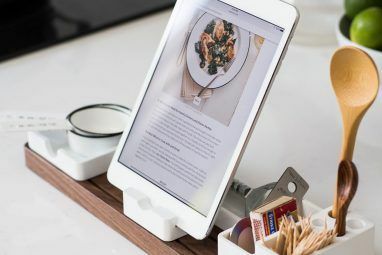 From bonus features to help you with healthy habits and tracking to plain and simple reminders, there’s sure to be one here for you. You should also be sure you’re knowledgeable on medical security. Take a look at how to safely buy medicine online Buying Medicines Online? 7 Safety Tips You Shouldn't Ignore Buying Medicines Online? 7 Safety Tips You Shouldn't Ignore Prescription drugs can be shockingly expensive. So what about buying online? It's certainly cheaper, but is it safe? And how can you make sure you don't get burned? Read More or how scammers and ID thieves are hitting the healthcare industry Healthcare: The New Attack Vector for Scammers & ID Thieves Healthcare: The New Attack Vector for Scammers & ID Thieves Healthcare records are increasingly used by scammers to make a profit. While there are massive advantages to having a digitized medical record, is putting your personal data in the firing line worth it? Read More . Explore more about: Apple Watch, Health, iOS Apps.